We went to a gaming convention, visited several museums, stood on top of the world at the Space Needle and went boating on Lake Union. But the countryside surrounding the city is what I remember most fondly from our time in Washington. 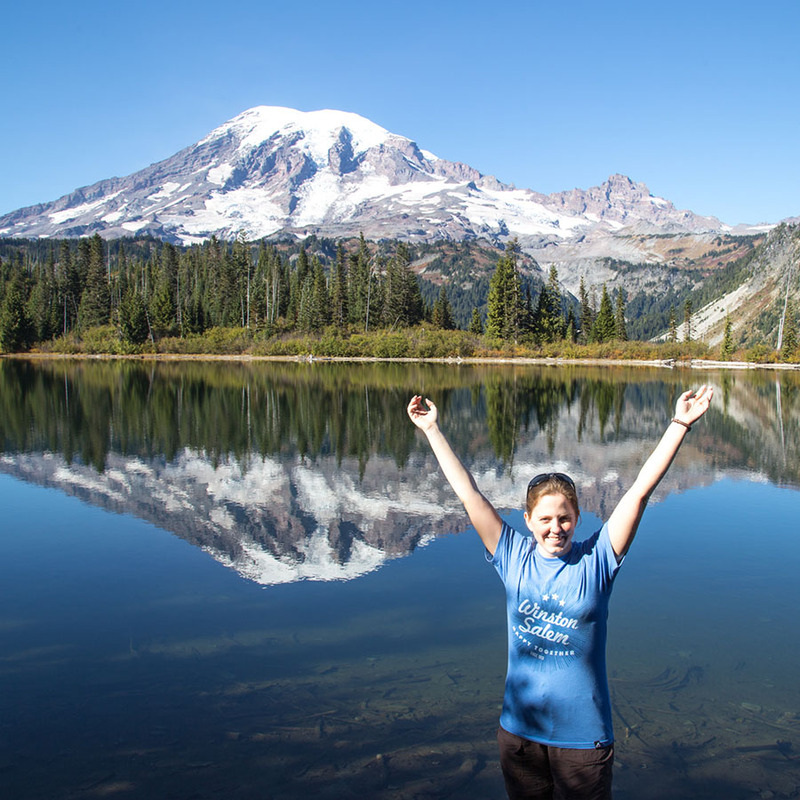 When our friends Katherine and Russell came to visit, we took a day trip to Mount Rainier National Park. 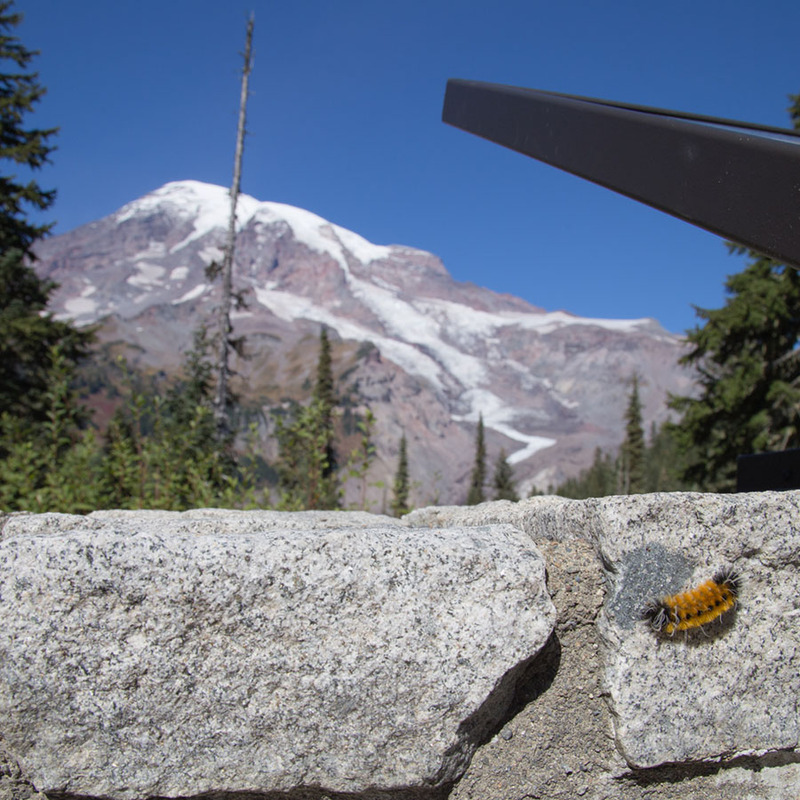 It was our eighth national park since beginning our RV journey, and like its peers, it definitely impressed us. We came in the southwestern Nisqually entrance, and we definitely weren't the only ones there. 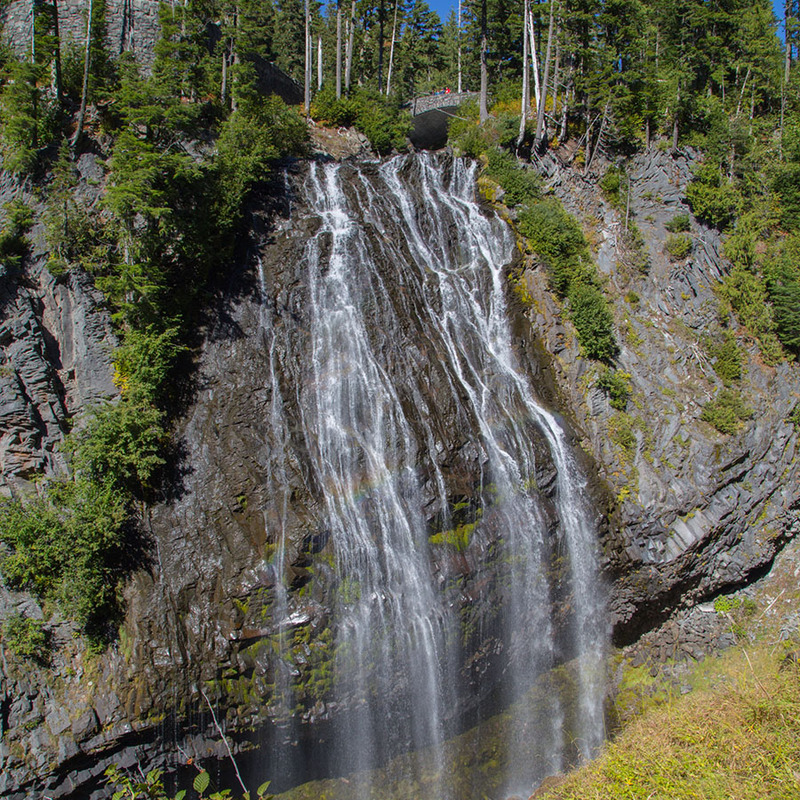 One of the first attractions we stopped to see was the lovely Narada Falls, 188 feet in height. It's an easy attraction to reach; simply pull off the road and step onto the bridge over the falls. 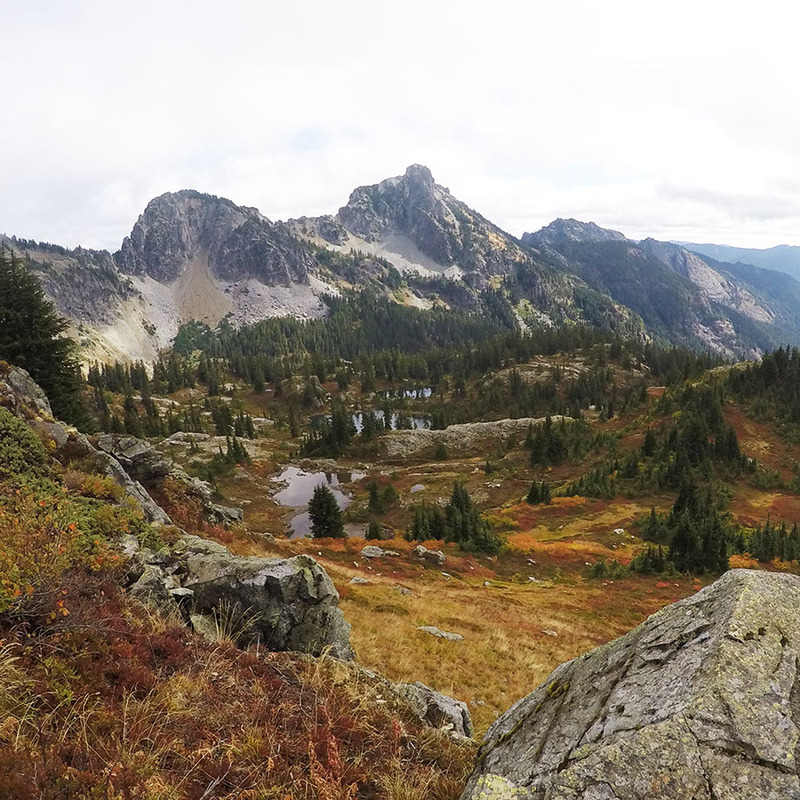 For this view, all that's required is a short (but steep) hike. Getting off the main road helped thin out the crowds. Next, we attempted to see the Paradise Visitor Center, but there was nowhere for our truck to park, so we settled for these *yawn* photos along the roadside. We bypassed Reflection Lake, thinking we'd snag a picture later in the day after the crowds died down. 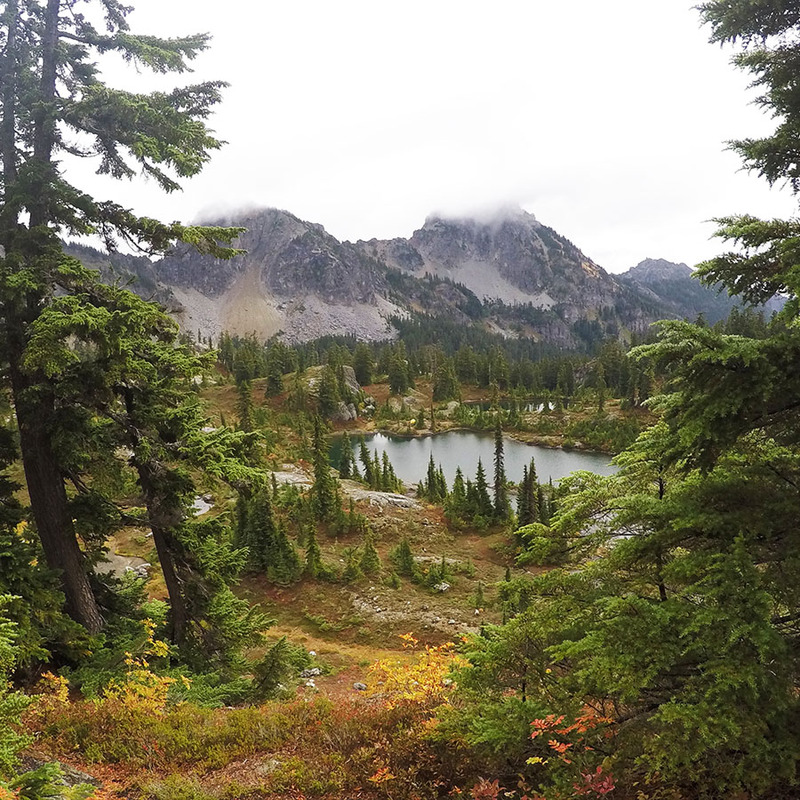 Instead, we stopped a short distance down the road at the trailhead for Bench and Snow Lakes. I'm about to let you in on a secret. Bench Lake really should've been named Reflection Lake. And unlike the real Reflection Lake, Bench Lake is your very own private mirror, with no crowds to fight. We saw maybe 12 other people the entire trek. Do this hike. Do it, seriously. You're welcome. 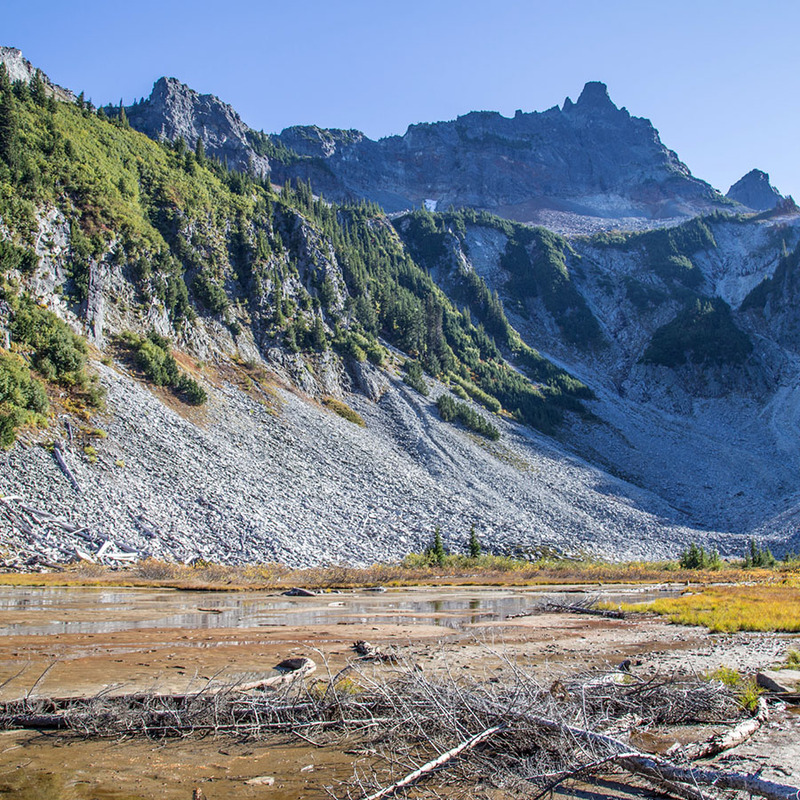 We continued on to Snow Lake, and although it wasn't quite as spectacular as its sister, it was still beautiful in its own way. Though it's a mite boggy. During our 50 days in western Washington, we parked our RV in 7 different places during 11 separate stays. We moved a lot. But, by far, my favorite home was in Fall City. 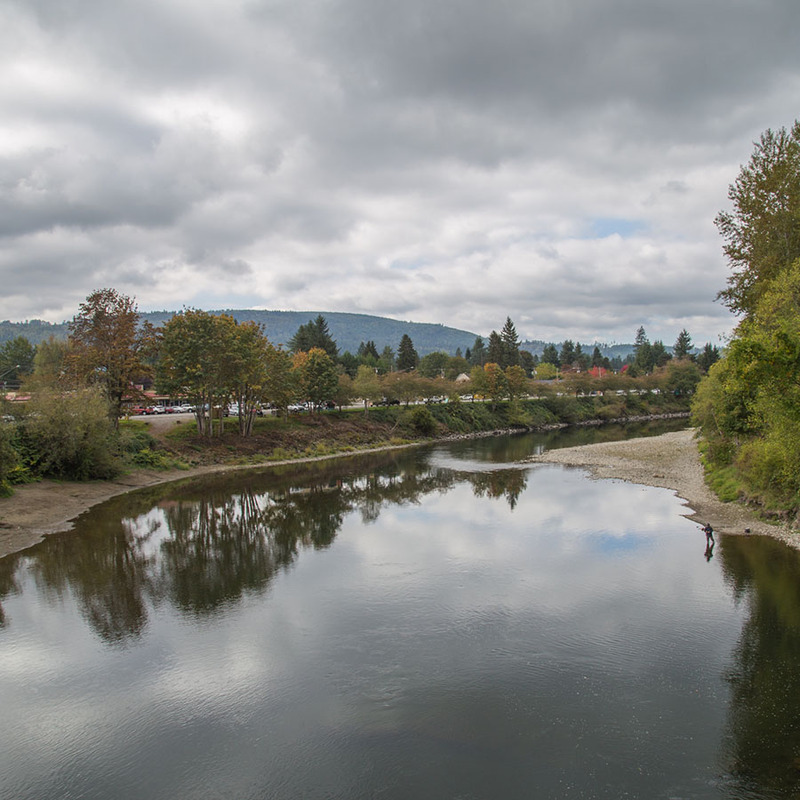 Situated 25 miles east of downtown Seattle, Fall City is a community of 2,000 people located right on the Snoqualmie River. 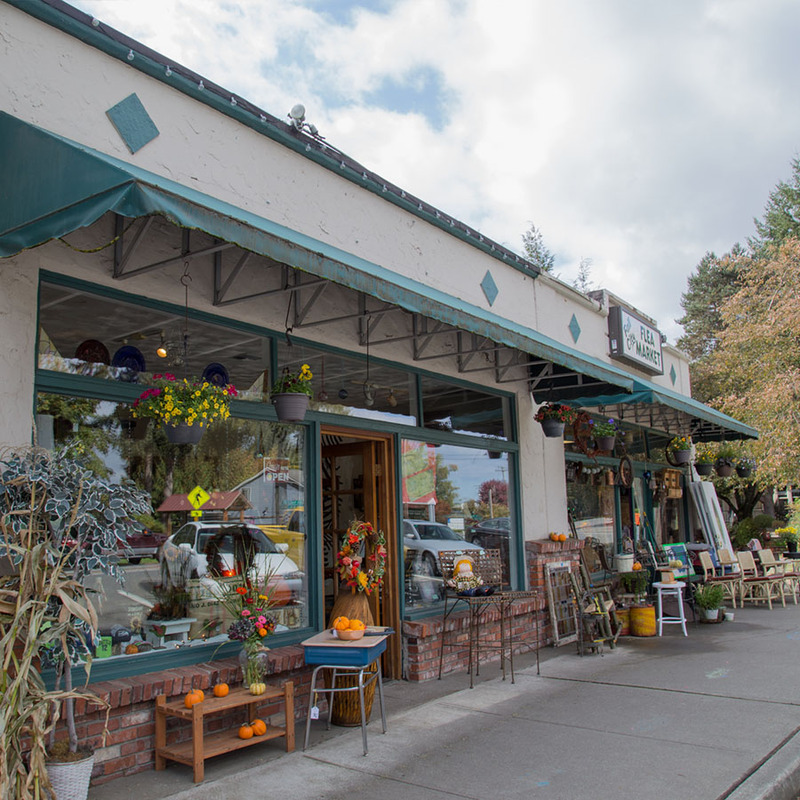 Fall City has a tiny grocery store and several shops, and is surrounded by fertile farmland. Snoqualmie River as seen from Fall City - spot the fisherman? 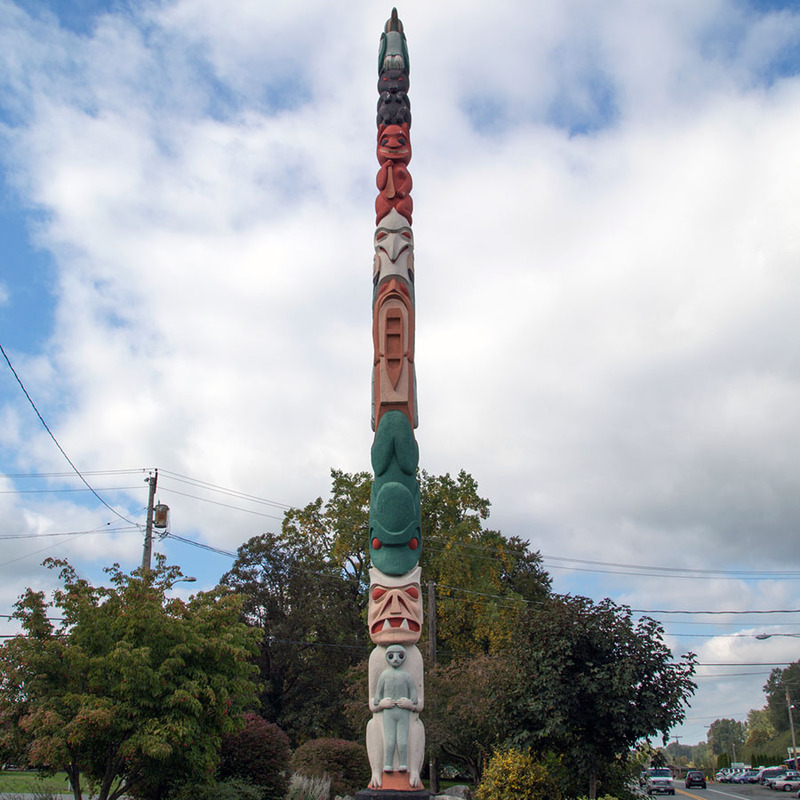 We would certainly recommend the place where we stayed, as it was in easy walking distance of town, backed up to a golf course and a public fishing spot, and was cradled by a bend in the Snoqualmie River, but in October of 2015, it was closed forever. Pretty heartbreaking, honestly. 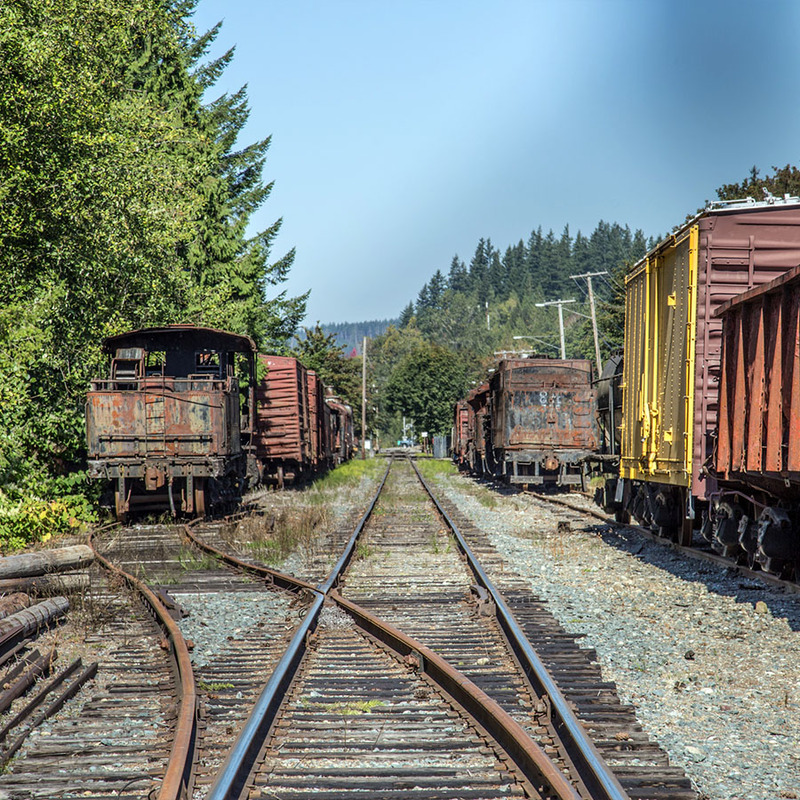 If you're interested in staying the area, I'd recommend looking in nearby Issaquah, Preston, Snoqualmie or North Bend. 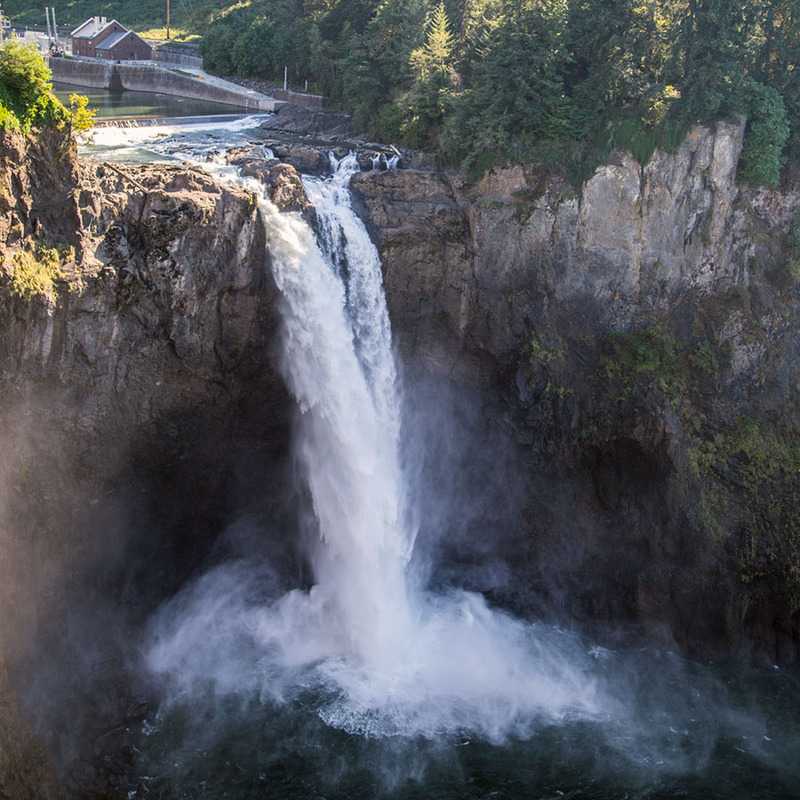 A short drive away is the majestic Snoqualmie Falls, which creates hydroelectricity for the area. If you watched David Lynch's Twin Peaks, you might recognize this waterfall from the opening credits of the TV show. As Cooper said, "Harry, I have no idea where this will lead us, but I have a definite feeling it will be a place both wonderful and strange." 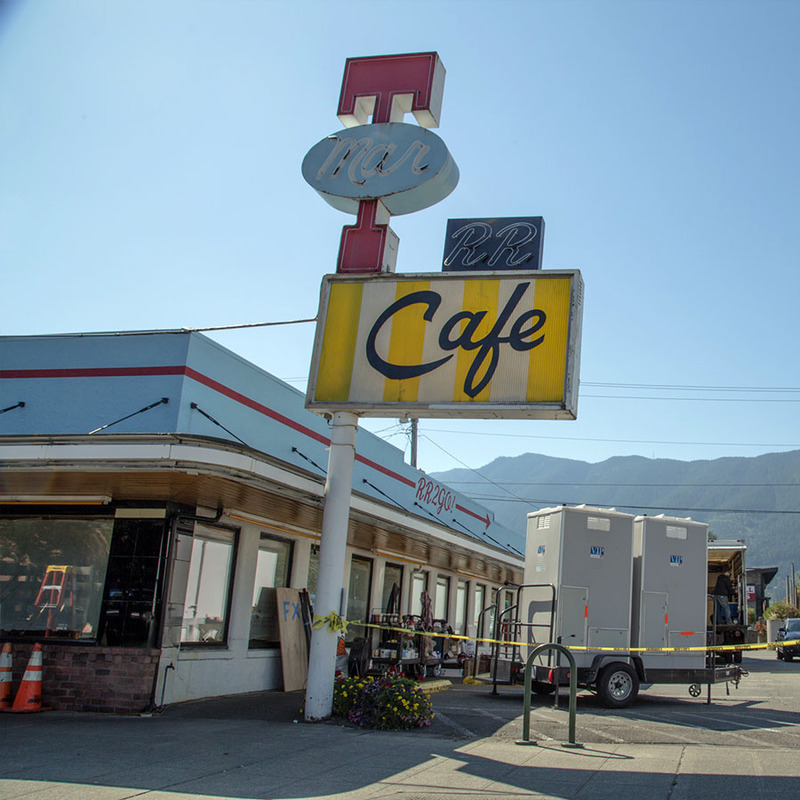 Another sight Twin Peaks fans will recognize is just a few miles away in North Bend: the Mar-T Cafe, or as it is called in the show, the Double R Diner. We happened upon it while the new series was being filmed, thus all the caution tape and equipment. 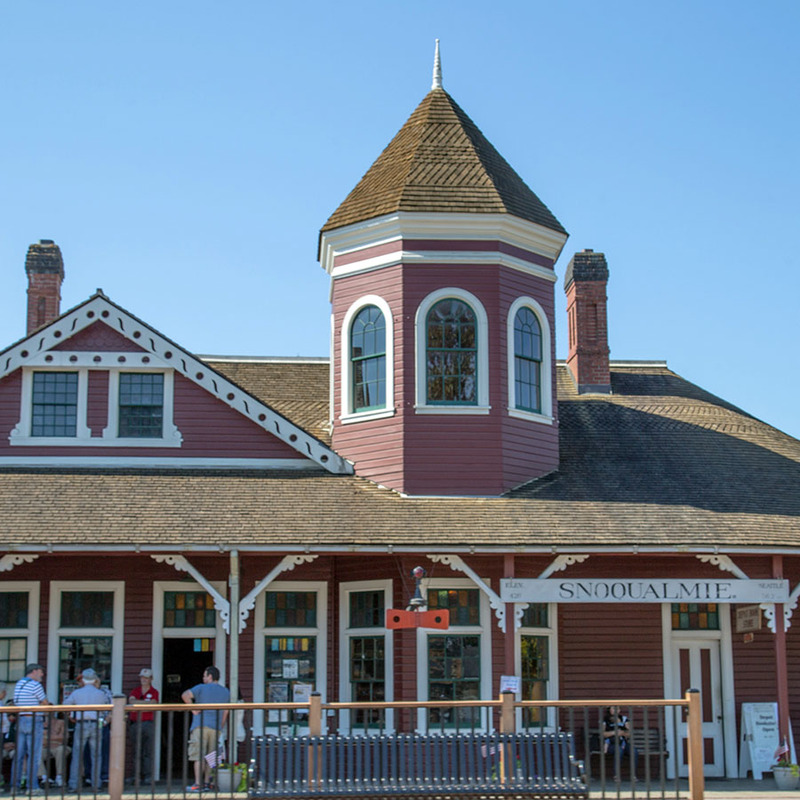 Snoqualmie, located between Fall City and North Bend, is another small town that is full of charm, not least of which because of its tributes to railroad history. Incidentally, Snoqualmie is home to what is possibly the best Indian food in the region, at a restaurant called Aahaar. I went three times, and I'm not even ashamed to admit it. 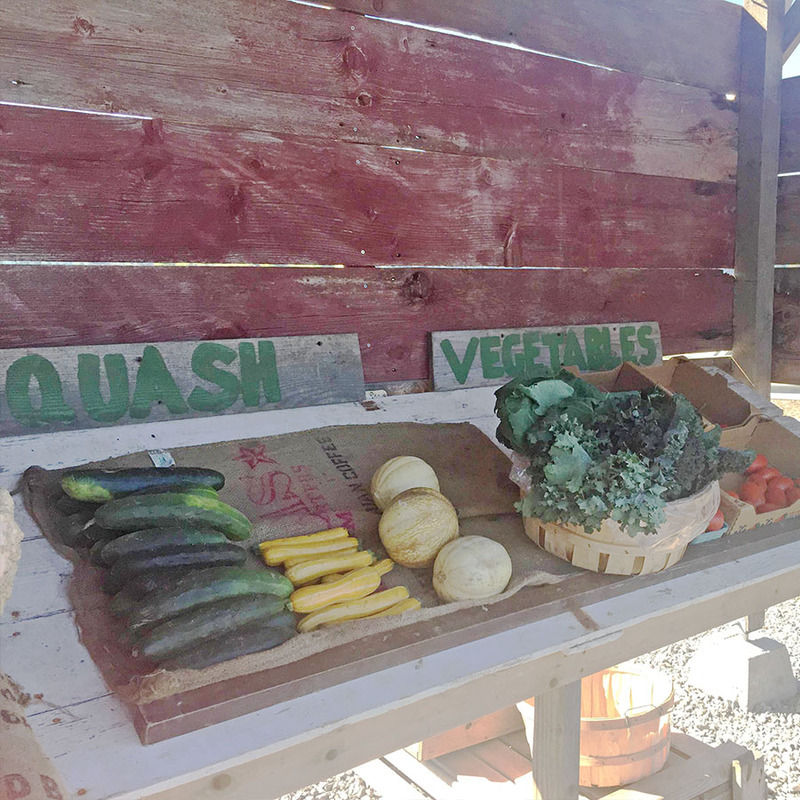 During our stay in Fall City, our neighbors were Anna and Kelly of Small House Big World. 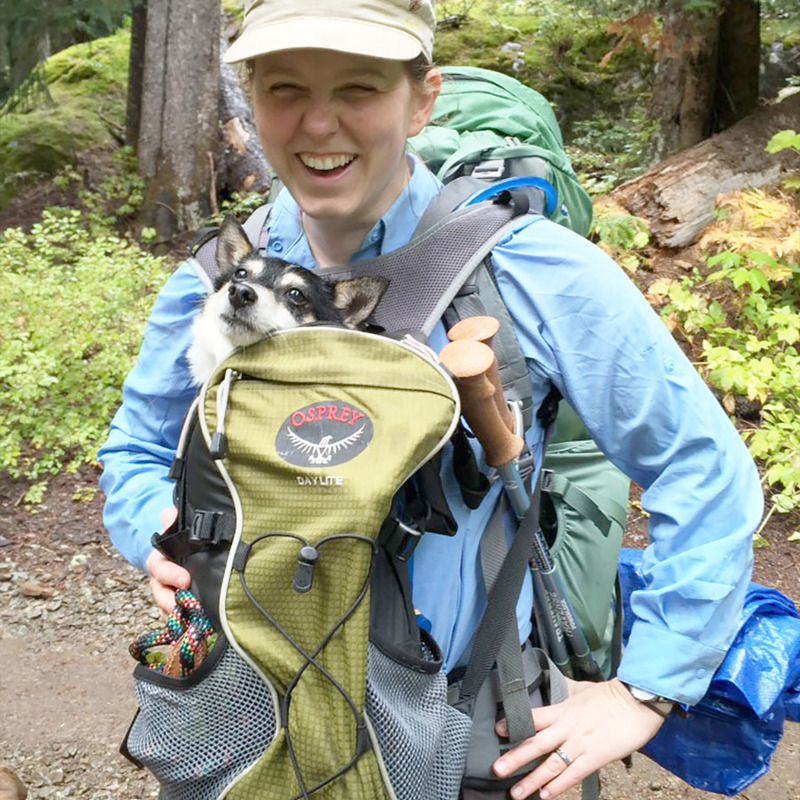 A fellow hiker, Anna and I were eager to set out into the woods. 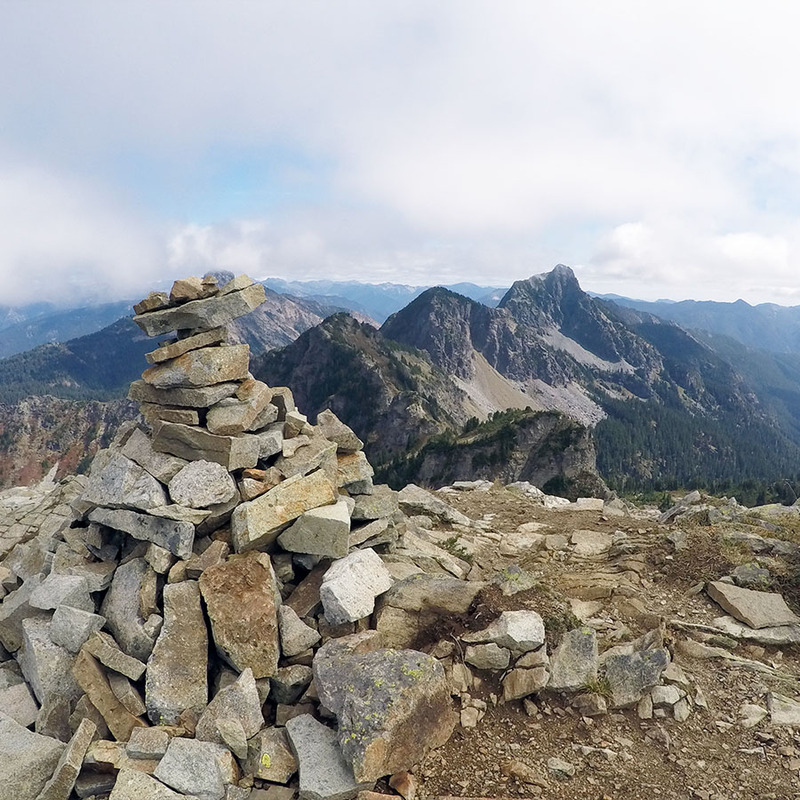 Our first hike was to the summit of Mount Catherine. 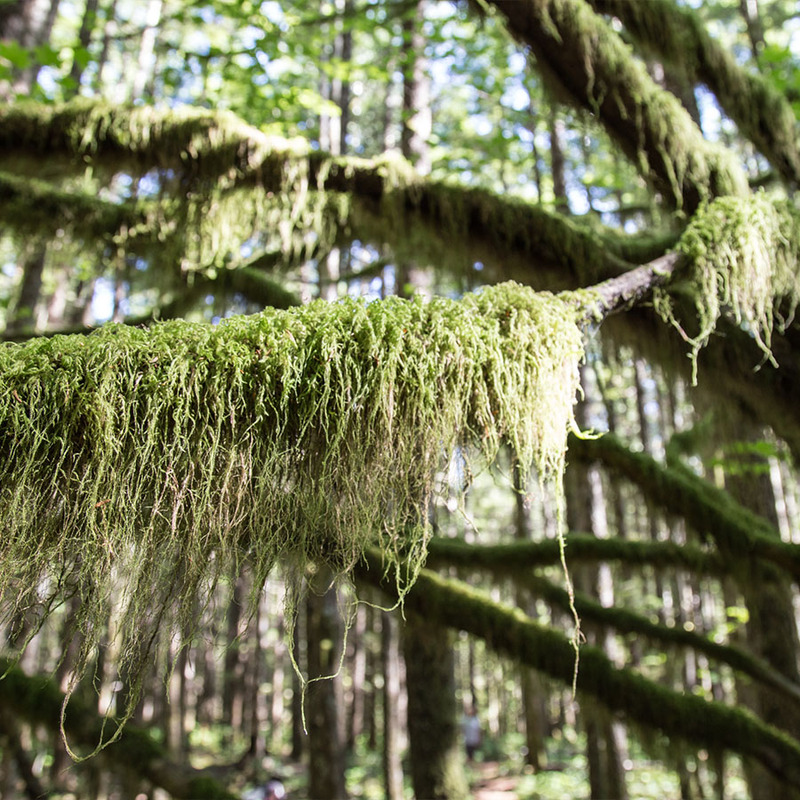 I'd always heard about Pacific temperate rainforests, but for the first time I found that moss really will grow on anything up here. "And moss grows fat on a rolling stone"
After distracting ourselves from the switchbacks with conversations about our best and worst hikes, we made it. 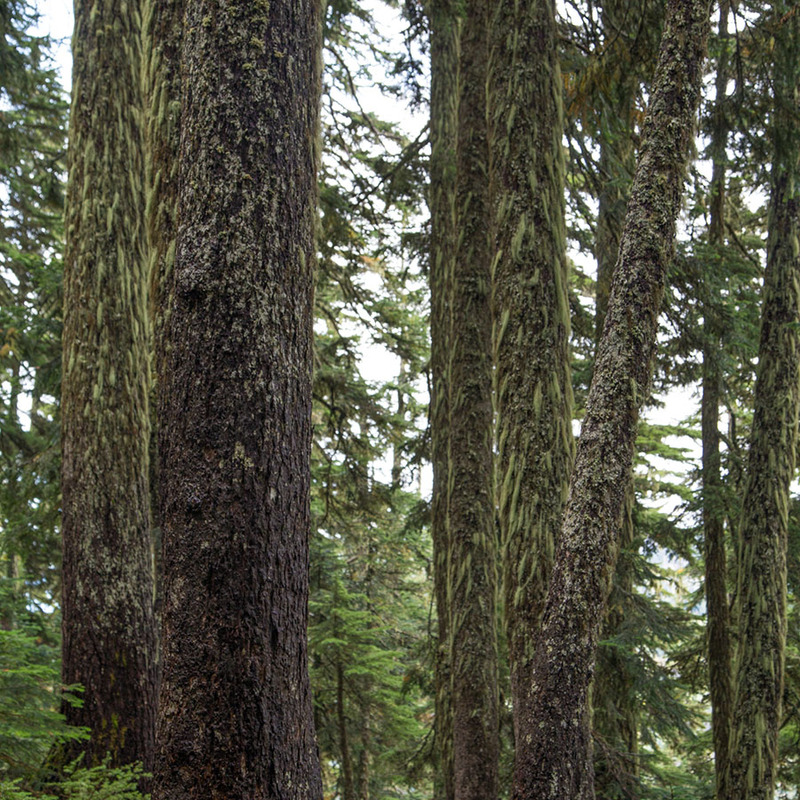 The trail is 3 miles round-trip and climbs 1,330 feet. You'll be winded when you reach the top, but it's well worth the effort. 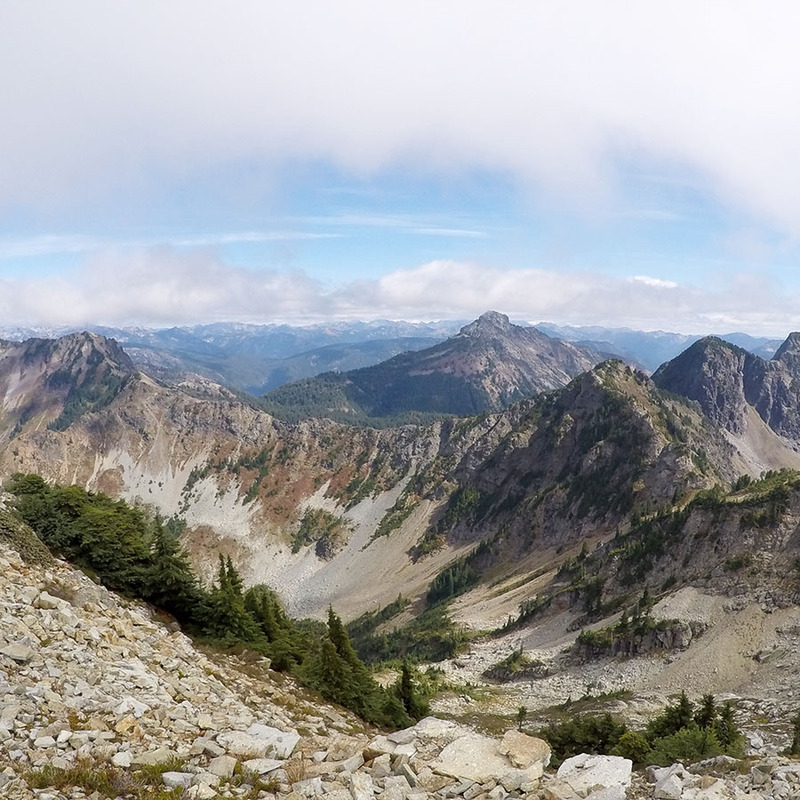 On a clear day (which, sadly, ours wasn't), you can even see Mount Rainier from the peak. 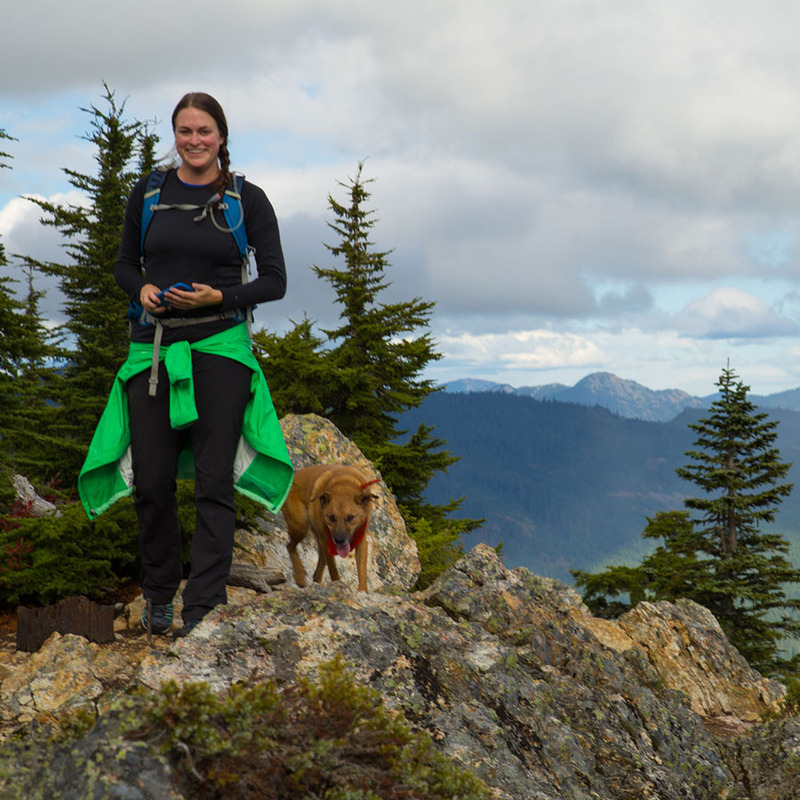 The following weekend, Anna and I decided to take our dogs on an overnight hike to Rachel Lake and Alta Mountain. Given Gabby's short stature, I was prepared to carry her most of the way with this ridiculous setup. Amazingly, my little pup resisted, preferring to hike alongside me. 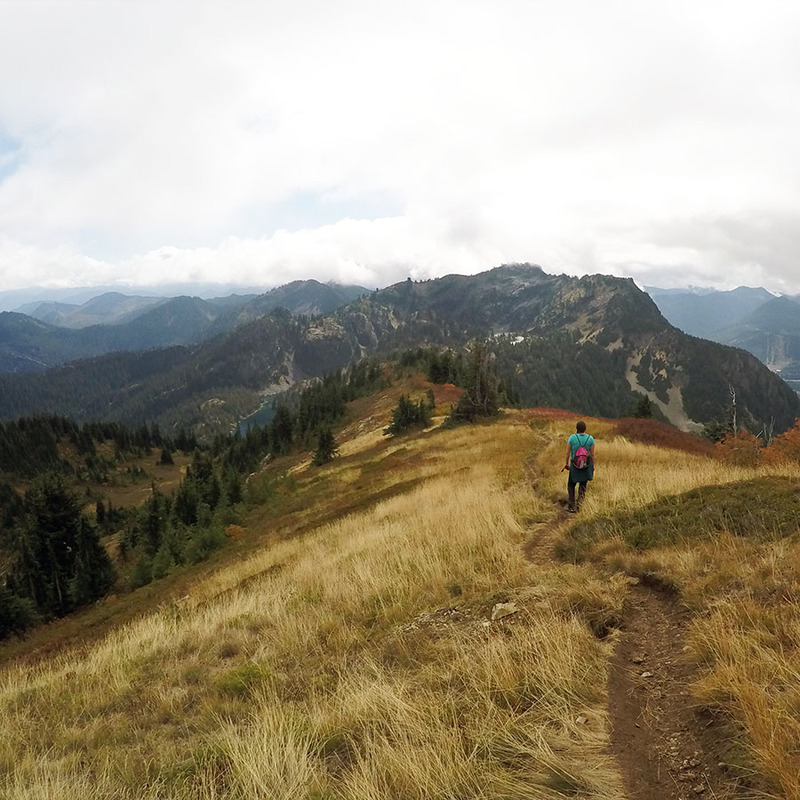 Of the 12 roundtrip miles we traversed over 2 days, Gabby probably hiked 11 of them. 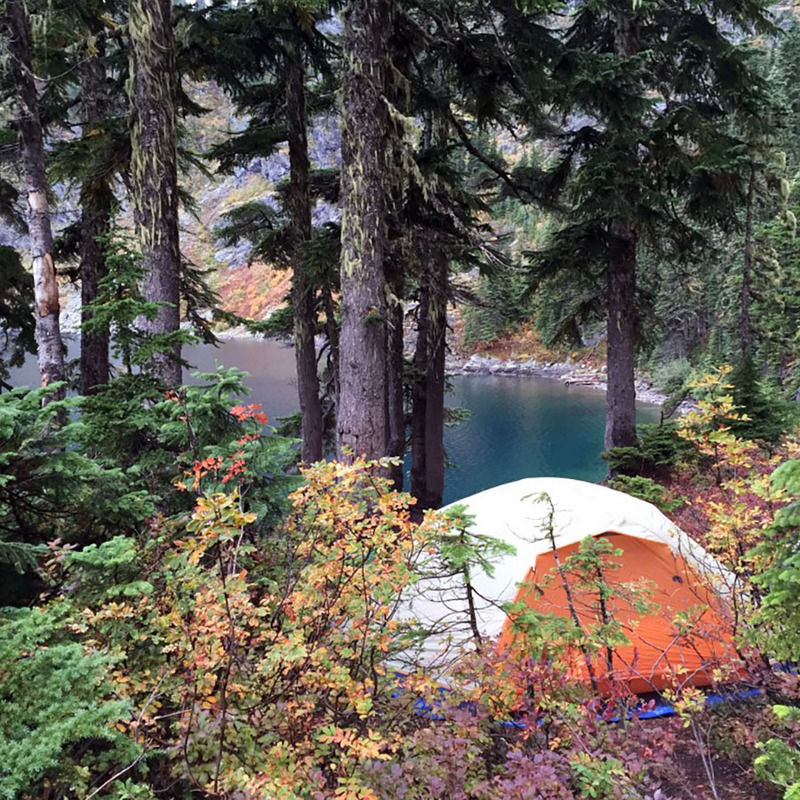 We loaded up our packs and hiked the increasingly-uphill 3.5 miles to Rachel Lake the first day, pitching our tent overlooking its deep teal waters. Seriously, look at that color! It was such a cold night that Gabby curled up in my sleeping back with me and didn't move once. 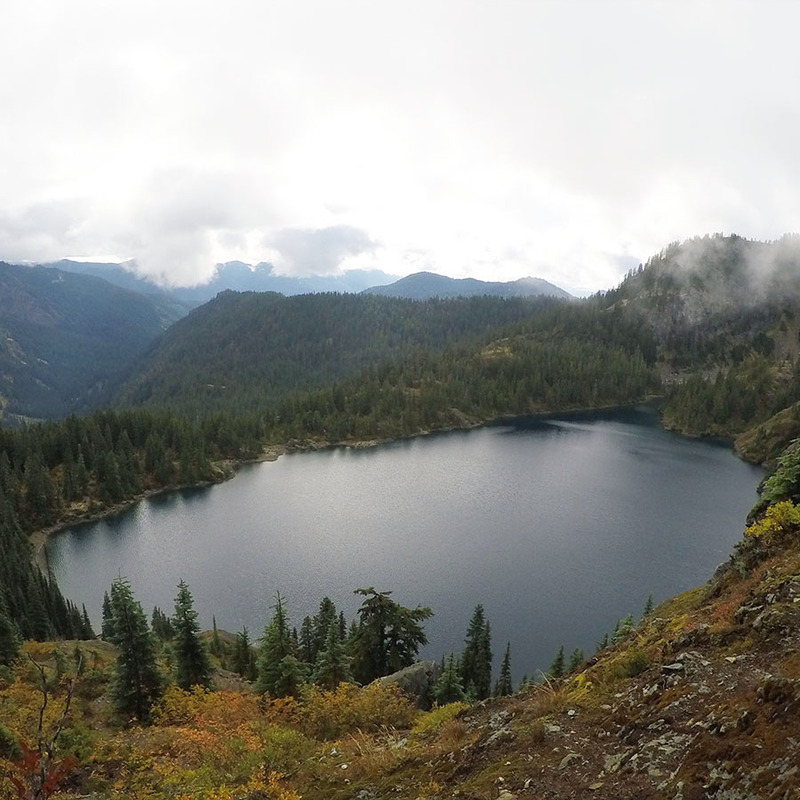 In the morning, we left our campsite and continued up the trail, rewarded with views of Rachel Lake as we climbed. Oh, who am I kidding? The millions of photos we took of the lake were just an excuse for taking breathers on the never-ending switchbacks. The mist persisted all morning, sometimes limiting our visibility, but definitely making us feel like we were in the heart of the Pacific Northwest. Halfway up, we got turned around. But if we hadn't gone out of the way, we wouldn't have seen this lovely field. 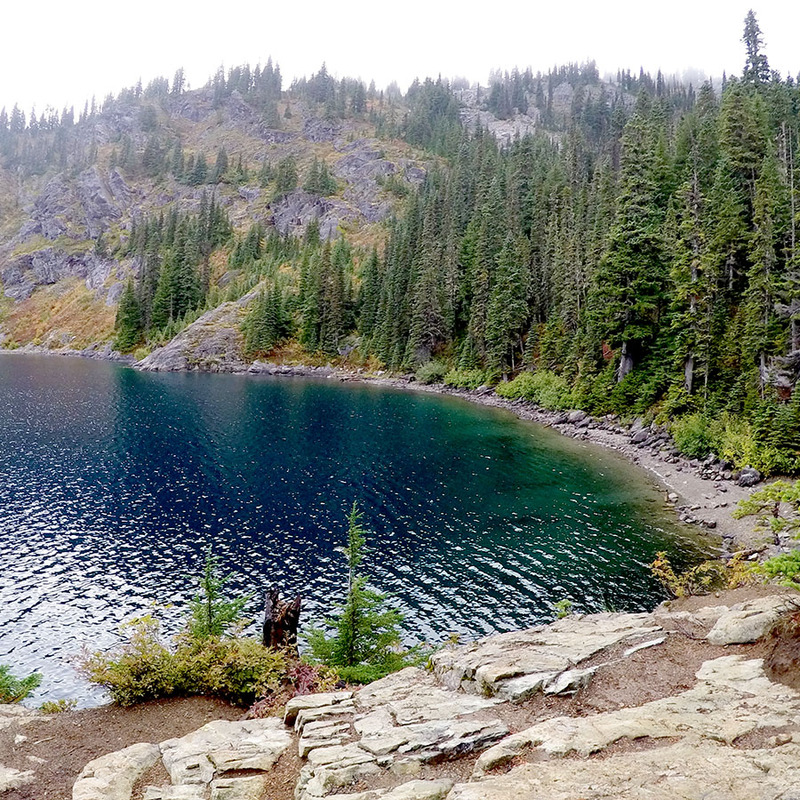 ... Or seen the beautiful Lila Lake. 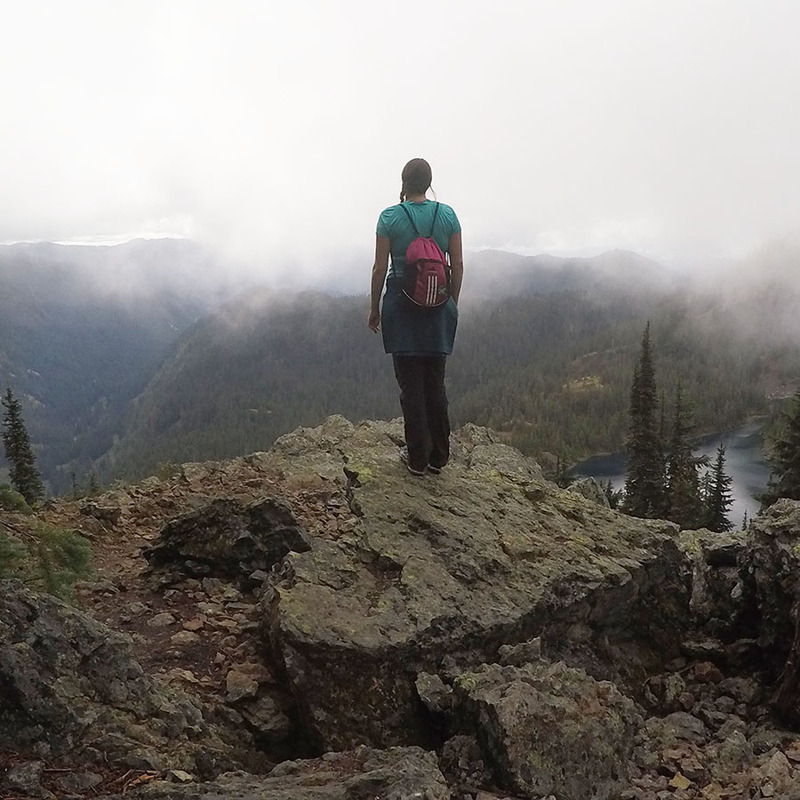 Continuing our journey up Alta Mountain, we got an even better view of the lakes and mountains from above. 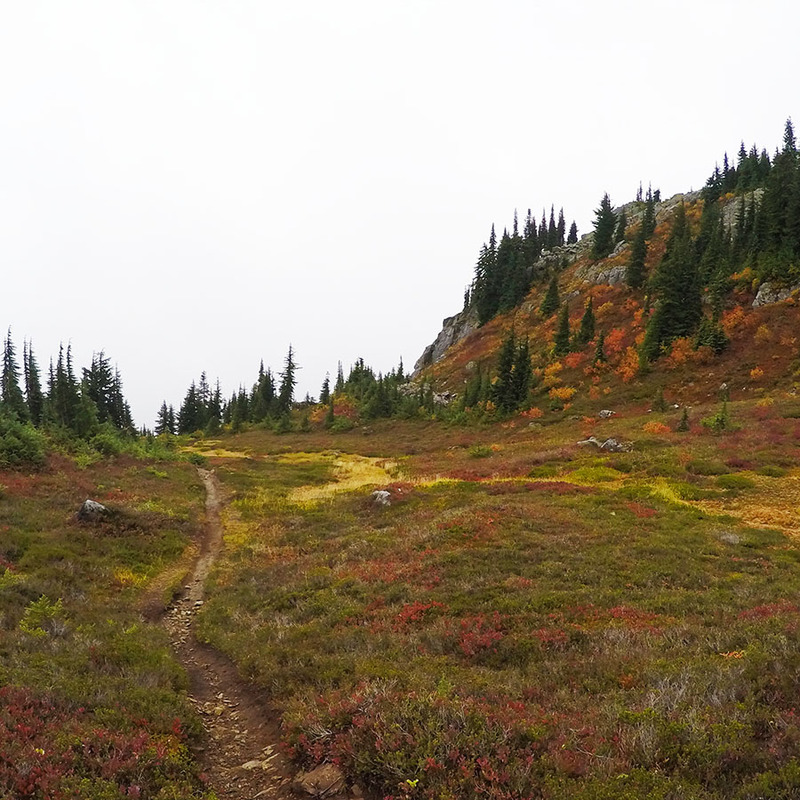 One of the reasons this trail had interested us was the description of the knife-edge ridge that leads to the top. Not nearly as scary as it sounds, a knife-edge ridge just means that you're walking atop the spine of the mountain, with gorgeous views on either side of you. 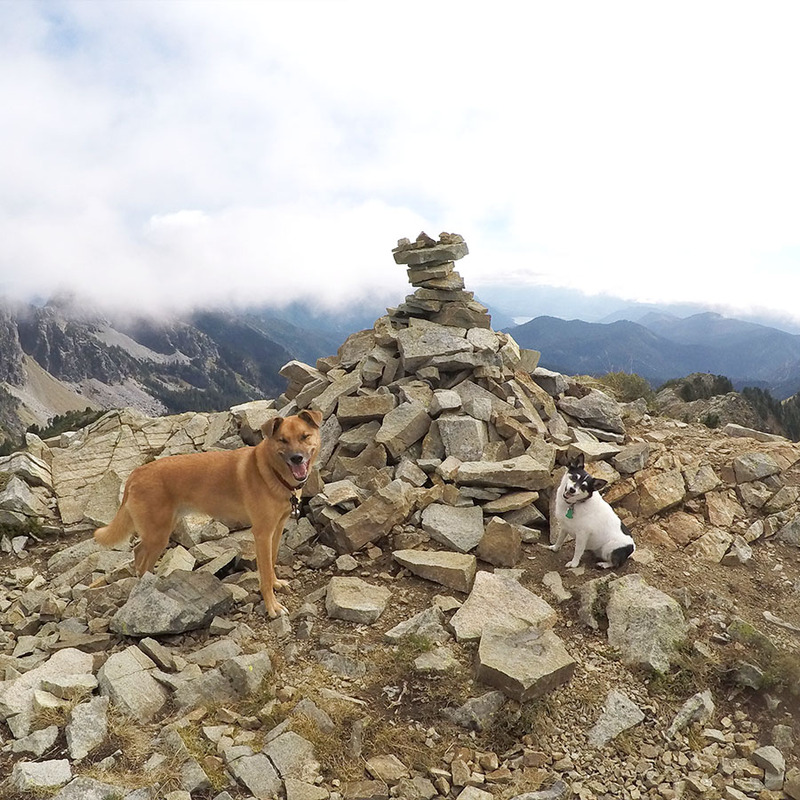 Finally, we made it to the summit, marked by the largest cairn I had ever seen. Max and Gabby (and we) took several minutes to celebrate and take in the sights. The trek back down was a lot less fun than the one up because we were pretty worn out at that point. 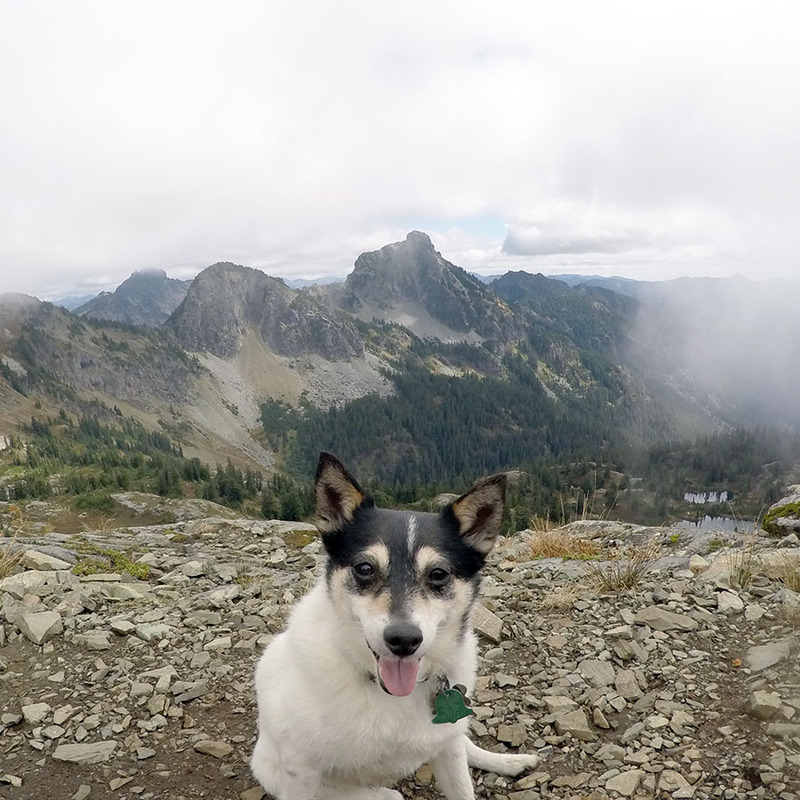 But on the bright side, now Gabby doesn't have a fear of puddles anymore, as we tromped through dozens once we were back in the humid forests below Rachel Lake. 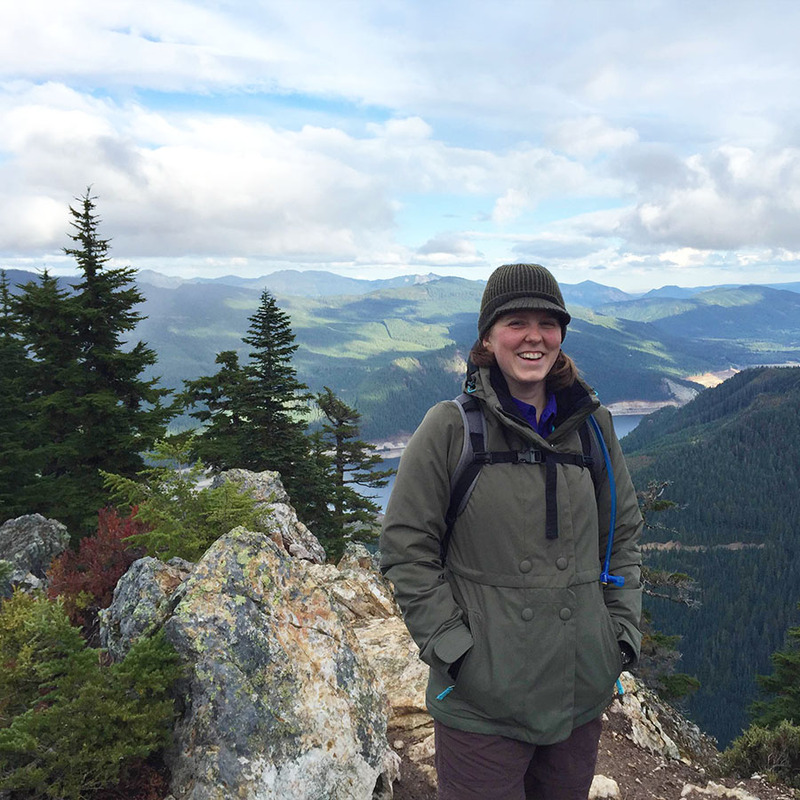 Even though we swore we'd never walk again after our gruelling Alta Mountain hike, Anna and I found ourselves out in the woods again a few days later, heading up the 3.5 mile round trip Cedar Butte Trail. 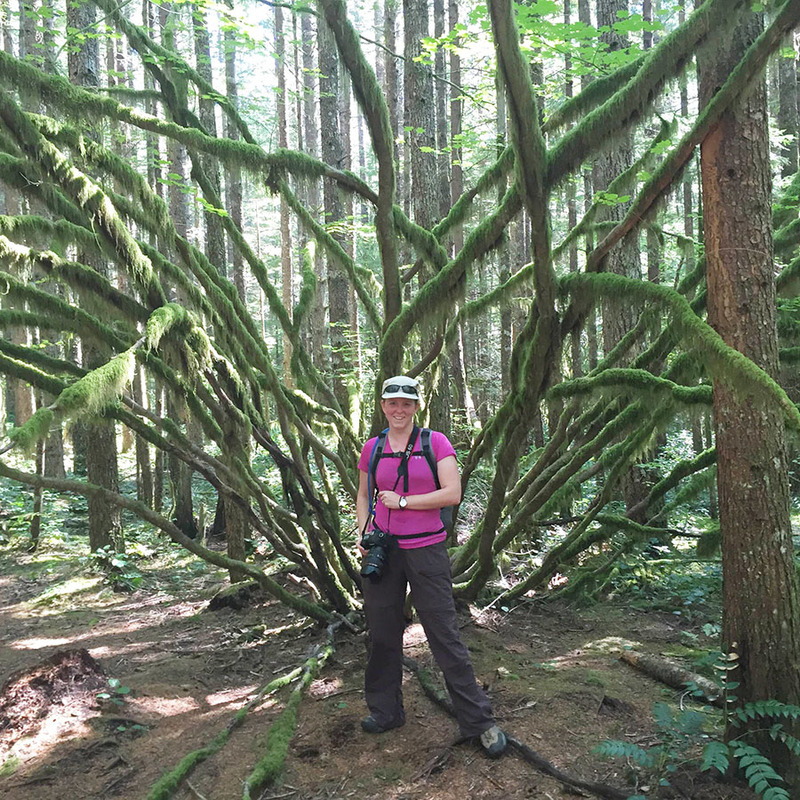 On the way, we encountered one of the craziest-looking trees either of us had ever seen. Glad I didn't notice at the time that this tree looks like a GIANT SPIDER. 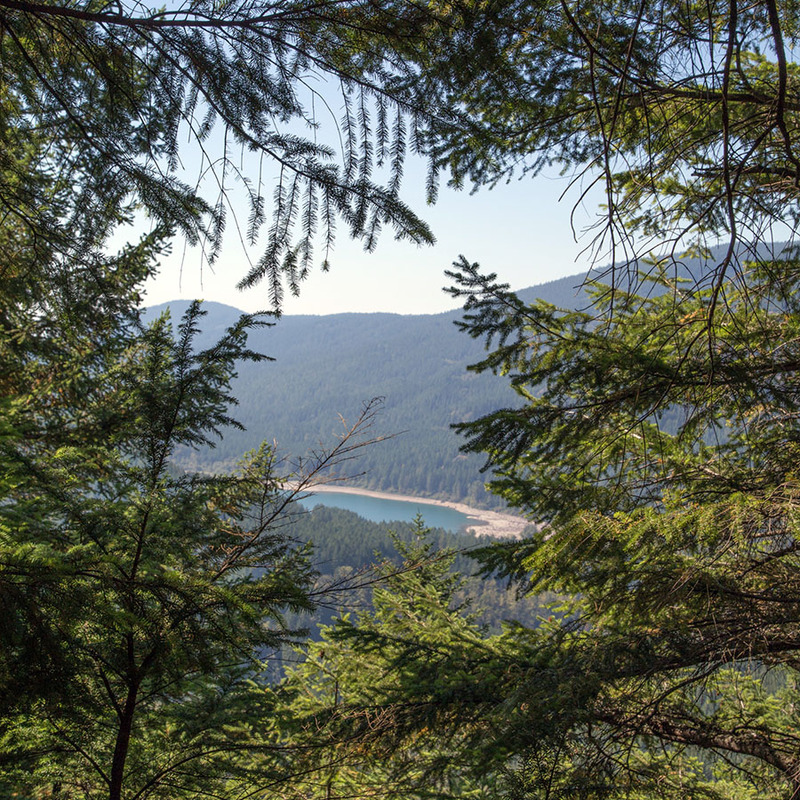 On the way up, we spotted Rattlesnake Lake from above. The view from the top was mostly obscured by trees, but it didn't prevent us from being proud of the accomplishment. After Anna and Kelly left for Oregon, and we had done some more traveling around the area, Josh and I returned to Fall City for a few more days. 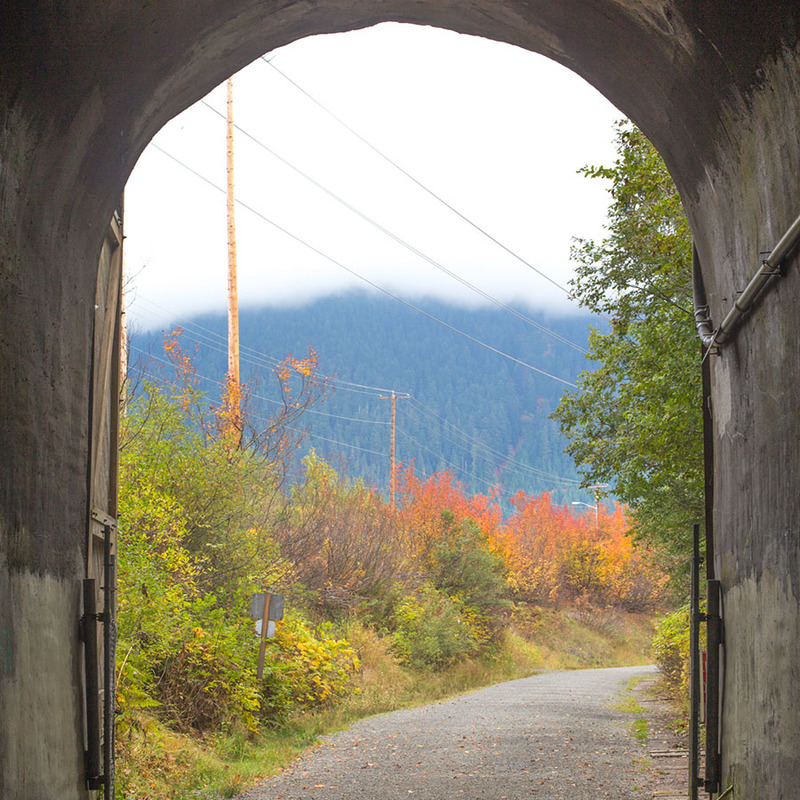 With Josh off at a conference in Texas, I decided to take a solo hike in the expansive Iron Horse State Park. 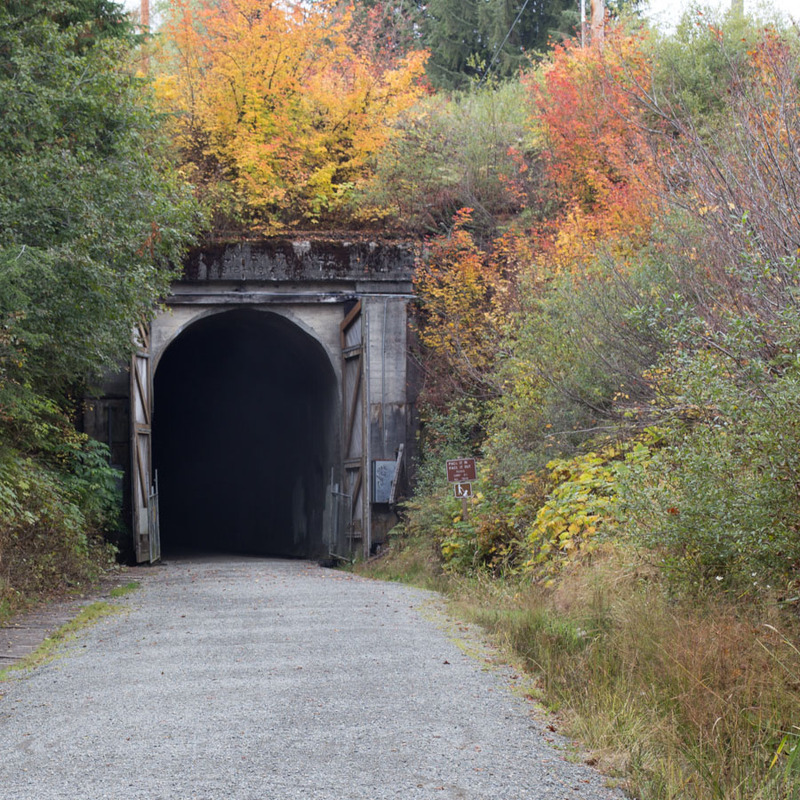 One of the attractions here is a two-mile tunnel that formally carried train passengers to a ski resort. I had packed hot tea, a jacket, a headlight and extra batteries, and I made it maybe half a mile in before the oppressive darkness, sound of dripping water and chilly air put my brain in horror movie mode, and I skedaddled right on out of there. Fortunately, the fall foliage was beautiful, and the other trails in the park were wide and bright, so I spent the rest of the afternoon hiking along far less creepy trails. 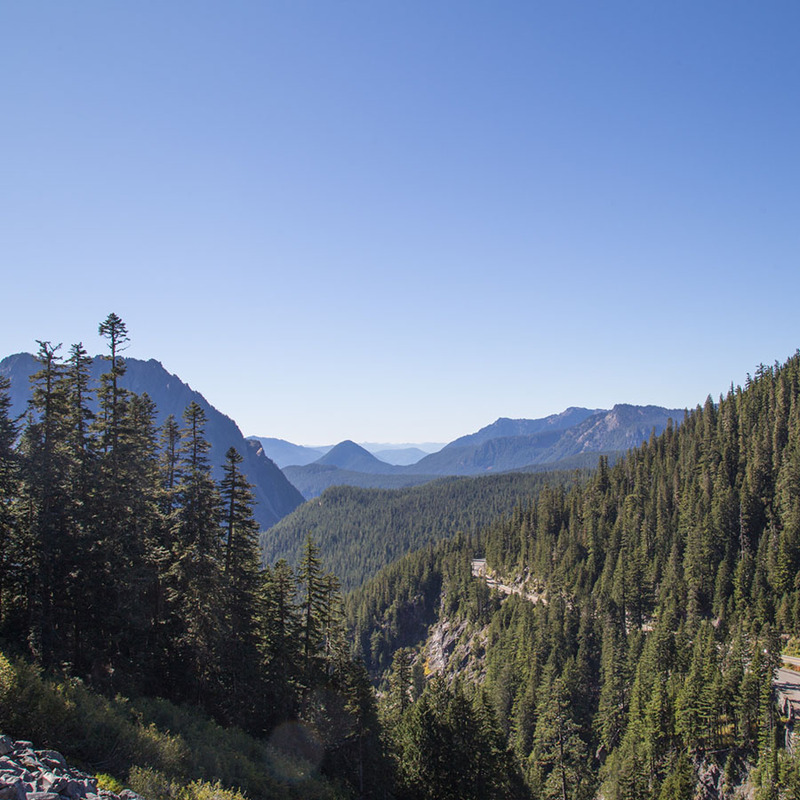 This area of Washington State is nothing short of magical, and I've found myself homesick for a place I've never lived just writing this post. I'm sure I'll return someday to explore these misty mountains further. 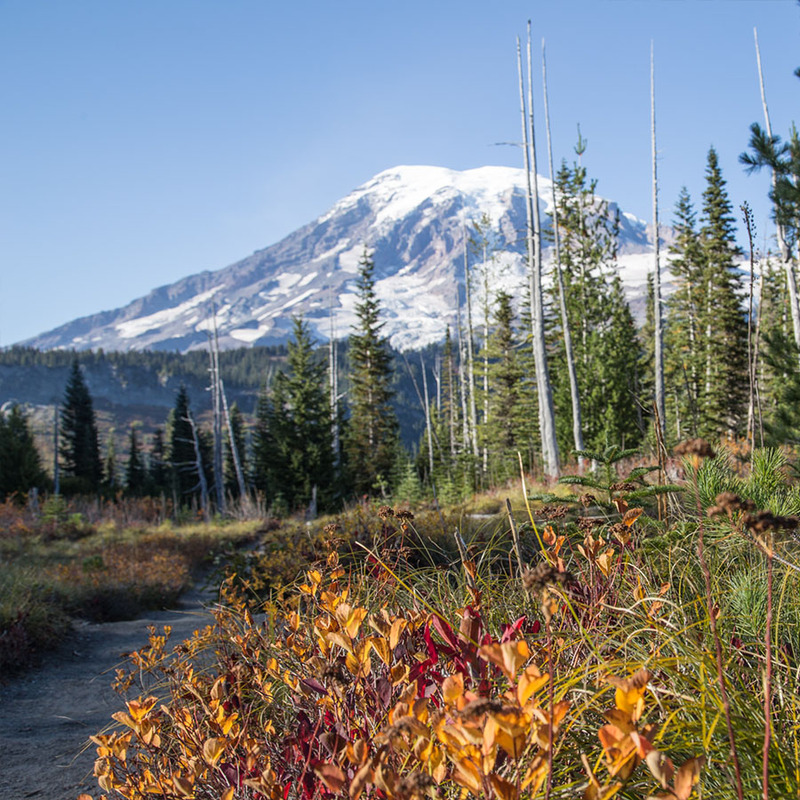 Have you been to Mount Ranier National Park or the Snoqualmie Pass region? What activities do you recommend?